Now that we're smack dab in the middle of Fall, the time has come to take a weekend jaunt up to Apple Hill! Oh how we love this Northern California tradition! Endless varieties of apples, apple butter, apple doughnuts, the best ever apple cider (unpasteurized, as it should be! 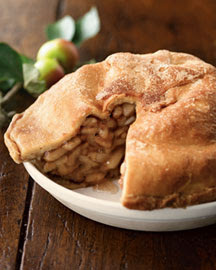 ), caramel apples, apple pie, basically everything apple you can dream up. And then there's the pumpkin patch, craft fair, face painting and any other imaginable Fall festivity. And this weekend promises to be a bit chilly with some rain - even better! Can't wait to share our apple-y finds with you! Have a lovely weekend! i love apple butter and caramel apples!!!!!!! !